The MERiFIC project aims to encourage the development of clean marine power to boost the self-sufficiency of coastal and island communities in the UK and France. Dr Nicola Davies speaks to some of the EU-funded project's key researchers to find out how it will support economic development and energy independence for peripheral communities in Cornwall and Finistère. MERiFIC aims to boost energy independence for coastal and island communities by improving access to the marine power sector. Image courtesy of MERiFIC. The project has brought together ten academic and governmental institutions from the UK and France. Image courtesy of MERiFIC. Wave energy concepts and components can be tested at Exeter University's South West Mooring Test Facility (SWMTF). Image courtesy of the University of Exeter. Other research under MERiFIC includes testing mooring lines for marine renewable energy devices. Image courtesy of the University of Exeter. 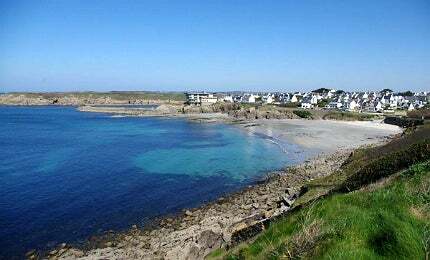 MERiFIC (Marine Energy in Far Peripheral and Island Communities) is an innovative EU project linking the two maritime regions of Cornwall, UK, and Finistère in the French region of Brittany, as well as the remote islands of le Parc Naturel Marin d’Iroise and the Isles of Scilly. Valued at €4.6m, MERiFIC is a unique study into the economic potential of marine energy, the end goal being to develop a renewable resource for the benefit of remote island communities around the world. "A total of ten organisations are working together as part of the MERiFIC project." Peripheral and island communities face the greatest threats to security of energy supplies due to their location, often on the fringes of national energy distribution networks. As a consequence, these communities are forced to rely on imported electricity, which is a huge financial drain. Indeed, as much as 96% of the profit from the €1.5bn of energy consumed in Cornwall does not remain in the local economy. This is one of a number of reasons for Cornwall’s involvement in MERiFIC, a robust renewable energy programme that kicked off in September 2011 and is planned to continue into 2014. Cornwall Council’s head of economic development Dr Sandra Rothwell highlights another key reason for Cornwall’s involvement in the project – climate change and the need to create a low carbon economy and reduce fuel poverty. As the southernmost county on the UK mainland, Cornwall is a sub-region at the frontline of the UK’s defence against climate change. Dr Peter Connor, senior lecturer in renewable energy policy at the University of Exeter and leader of the policy and regulatory work stream of MERiFIC, gives some insight into the economic development aspect of the project. "Cornwall is a sub-region at the frontline of the UK’s defence against climate change." "Perhaps the most relevant area of the MERiFIC work is that it aims to support the growth of opportunities for companies in Cornwall and SW England to be better able to access the marine renewable energy sector – and similarly to assist in Brittany – through promotion and development of supply chains relating to the sector," Connor says. "We have set up a database of locally-active companies to enable this and carried out work with local companies to identify their needs and how these might best be facilitated to allow them access to the sector and to allow growth of the sector. "Our partners have carried out work to set out best practice in procurement, to identify opportunities in the marine energy supply chain and to develop a strategy for economic development of marine renewable energy in the region. And this of course creates a stronger local economy through more jobs and money coming into the region." Strong partnerships are the backbone of this ambitious project, with a total of ten organisations working together as part of the MERiFIC project. Among the partnerships formed is a collaboration between Exeter University, Plymouth University and the French Research Institute for Exploitation of the Sea (IFREMER), which are combining expertise to promote the development of marine renewable energy technology in each region. Cornwall Council, Conseil General du Finistere, the Parc Naturel Marin d’lroise and Brittany’s regional development agency Bretagne Developpement Innovation will together evaluate the policies needed for sustainable economic development. As Cornwall Council’s European project manager Nicolas Wallet explains, the MERiFIC project isn’t focusing on specific marine technologies to develop: "But we do all the work around to facilitate their development, finding hotspots, working on the GIS [geographic information system] and environmental issues, the maintenance and marine operations windows, and the mooring with synthetic ropes." Connor adds: "While the project itself doesn’t consider a specific generation technology, we will be addressing the issues around most of the marine renewable energy technologies. This includes wave energy, tidal stream energy and floating wind, which are covered to different extents within the project. The technical elements of the project are focused on wave energy, research into its environmental impacts and looking at different approaches to the technical problems that inhibit the increased use of wave technology." Marine power technology being tested at the Marine Institute, Plymouth University, is literally making waves with its cutting-edge wave tanks. The tanks can generate short and long-crested waves with water currents. The Ocean Wave Basin, for example, can operate at different depths and has 24 flap wave makers that can produce waves of up to 0.9m in height. The Coastal Basin, on the other hand, has 20 adjustable modular pistons that act as wave makers. "The University of Exeter is also involved with a number of key infrastructure projects aiming to facilitate the regional and national growth of wave energy," says Connor. The Falmouth Area Bay Test site (FAB Test), for example, assists the developers of wave energy technology to test components, concepts or full-scale devices in a two square kilometre area providing water depths of 20-50m and rock, gravel and sand seabed types. "The results of the project are to be disseminated widely to other regions in Europe." The results of the project are to be disseminated widely to other regions in Europe in an effort to support the development of marine energy within the EU. Indeed, among the objectives of MERiFIC collaborators is to produce a web-based supply chain toolkit to share knowledge gained from the project. According to Wallet, the toolkit hasn’t been started but "is part of the economic development strategy angle, under the supply chain work". Cornwall and Finistère are well-placed to benefit from the projected expansion in marine renewable energy. Their exposure to the Atlantic Ocean provides outstanding natural resources in the form of significant wave, wind and tidal power. The potential for this project is huge, bringing with it the possibility to transform maritime peripheries from imported energy dependence to energy production. Not only could these communities become more self-sufficient, but there is a real chance to boost their local economies by becoming world leading marine energy exporters. A whole host of projects are working to speed up the process of turning small marine devices into commercial tidal arrays.